Why should you get your office cleaned regularly? Based on personal experience, no matter what mood you are in, the condition of a space you enter into can either improve or worsen your mood. This then influences how the rest of your day would be and how you would perform tasks you intended to do in that space. At work, a clean work space makes me feel less stress and overwhelmed despite knowing I have a lot on my plate for that day. In addition, when I go to the office pantry, a clean and clutter-free pantry is conducive to a calming down. This then relieves my need to go out of the office entirely just to "cool off" or get refreshed. Lastly, it makes a meal at the pantry a lot more enjoyable. Having said the above, let us break down all the reasons and elaborate on their importance for the company, business and the people in it. Imagine walking into someone's room or home whereby it is too cluttered, untidy, and you can scoop up dusts from any surface. What are the things that would go through your mind as you try to "ignore" the environment and focus on your purpose for going into the room instead? Now, think of yourself as client visiting your prospective supplier. Assume that this is the first interaction you are having with this supplier. As a visitor and a client, what would you think if you walk into that supplier's office with the reception area has papers and folders piled up and you can hardly see the receptionist table? Next, what would you think when the receptionist takes you to a meeting room and then sat onto a chair and suddenly a cloud of dusts floats around the area? Can you expect the supplier would actually take care of their products or service they are offering you, let alone take care of you as their client? I guess not. Therefore, apart from the products and services you offer as a business, a clean and inviting office space should also be on top of your list as part of your business operation. According to a British consultancy firm, as of beginning of 2018, employees cost companies thousands of pounds in high double-digit of losses resulting from productivity lost when employees calling in sick or when they still coming into to work despite being sick. This is not surprising given that coming into work sick would not actually make you work as productively or as well as when you are not sick. In addition, given that nearly all offices are enclosed, coming into work sick makes you inconsiderate to your colleagues because you just increase the risks of viral spread and infection. Conversely, when you call in sick, you cannot expect colleagues to always step in for you and finish work for you while you are recuperating. Not to mention that by doing so, they are compromising their own daily deliverable once they step in on your behalf. On top of the clean office impact to your employees' health, safety and productivity, a clean office exudes a positive atmosphere. Thereby, creating for a happy place to be and work at. This is a contributory factor for employees work satisfaction and overall morale. As we all know, healthy and happy employees equate to higher productivity, which is good for business in general. Do not do it yourself, hire a professional! Sure, having your employees be responsible for the cleanliness of their work space is not bad for your overhead costs. Then again, there is an implicit overhead costs when employees clean up their own space on top of doing their actual jobs that you paid them to do in the first place. It compromises, again, your employees' productivity. At the same time, you are risking the morale of your employees who may not be accustomed to cleaning their own space. 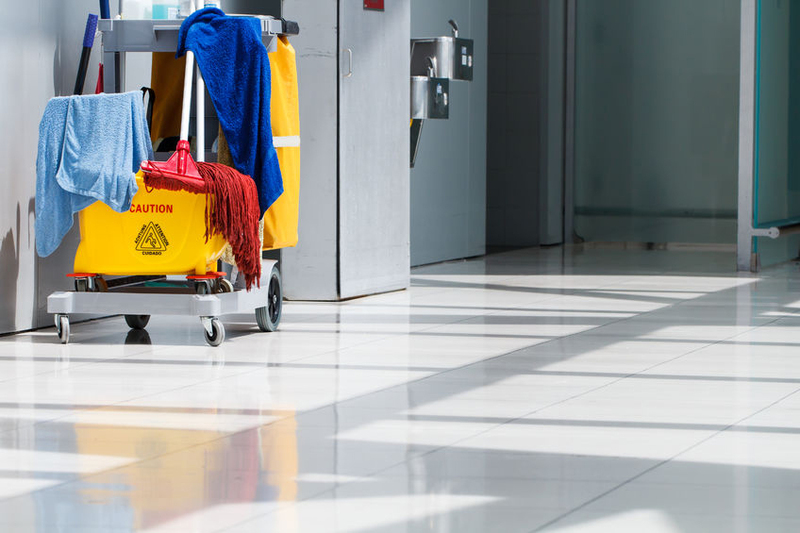 Besides, there are certain tasks that you should never expect your employees to do – such as carpet cleaning, HVAC (Heat, Ventilation, & Air-cooling) maintenance, and common area (pantry and toilets) maintenance. These are tasks when not done properly or at all, would result in many health and safety issues apart from increasing your overhead costs on utilities. For these reasons, it is highly advisable to hire professional office service group to do the office cleaning and maintenance for you. As professionals, they are more thorough and familiar with how to do these complex tasks. A bonus for getting professionals to do it for you, many are quite flexible to work on non-office hours or even on weekends.